Carrie Underwood is ready to say farewell to 2017! The country crooner shared with her fans in November that she had broken her wrist after taking a fall on the front steps of her home, and on Sunday she revealed that she sustained additional injuries from the incident. Underwood revealed in a post to her fan club members that in addition to having surgery on her wrist, she required stitches on her face. "There is also another part of the story that I haven’t been ready to talk about since I have still been living it and there has been much uncertainty as to how things will end up," she writes. "It’s crazy how a freak random accident can change your life." Detailing the injuries, Underwood continues, "In addition to breaking my wrist, I somehow managed to injure my face as well. I’ll spare you the gruesome details, but when I came out of surgery the night of my fall, the doctor told [Underwood's husband] Mike that he had put between 40 and 50 stitches in." 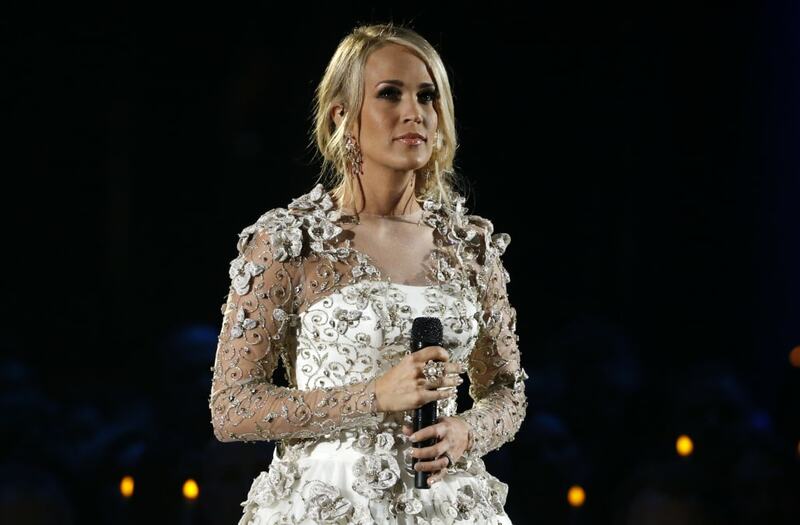 After the fall, the 34-year-old artist canceled a benefit show in Nashville and husband Mike Fisher returned home early from a hunting trip. In her recent post, Underwood says that seven weeks after the incident, she's healing but "not quite looking the same." As she continues to recover, Underwood says she's is optimistic about what the new year holds for her. "I am determined to make 2018 amazing and I want to share things with you along the way," she writes. "And when I am ready to get in front of a camera, I want you all to understand why I might look a bit different."